Facebook is everywhere…movies, online, B2C, B2B, commercial stores and in almost every household in the nation. Yet, where is Facebook’s presence lacking? It’s an obvious one and its a billion dollar industry: MUSIC. Yes, Facebook has band pages where you can like an artist, learn about updates, etc. But its just another website for a band. Facebook is the Social King b/c of its transparency into people’s lives and ability to make connections with people around the world. This same formula can be used for the music industry. Facebook needs to tap into this billion dollar industry and is arguably the one “like” that links every person in the world. Facebook’s reach is golden for starving artists AND hall of famers. BUT, how can the King make it easier for artists to establish a brand, promote their music and keep existing fans happy? The idea is simple and is already out there. Pandora has a good start along with Spotify; YouTube is ahead of everyone when it comes to music; MySpace had something going for a while but somehow managed to disappear. Recommend: Facebook is capturing “likes” from friends and acquaintances already, but now this needs to be used. When I’ve found a song or an artist I like, let me recommend them to my close friends. After all, won’t I know better than Facebook what my friends like? Integration: I’d like to see better integration with YouTube and Pandora. Create a seamless user interface that allows me to watch/browse music on these sites without having to open a new browser or download their desktop apps. Facebook does a good job with integrating their presence in others, but let loose and let others integrate inside of Facebook. Flexibility: As an artist, give me the flexibility to customize my Fan page (of course within limits). One thing MySpace allowed was the ability to add branding…Facebook is so limited that everything looks the same. Someone who spent 1 minute on their profile looks no different than someone who spent 1 week. I’m not asking for another version of Facebook, just meet somewhere in the middle. What Makes an Artist: Let me integrate my YouTube, Pandora, Spotify channels within my Fan page. I’ll show a little of my music and I will give you insight on my inspirations. I want to know who inspires Maroon 5. I want to know what they listen to on the road, who they idolize and what they REALLY enjoy. As an artist, I want to focus on tools that give me the biggest reach, allow me to spread my brand and give a personal look into my music life. What better way than to use a billion dollar social network to promote a billion dollar business! Let me showcase who I really am and have people see everything that I have to offer. As a music lover, I want to know more about my favorite artists. Make it easy for me to discover new artists based off who I already like. Keep me locked on Facebook by making it easier to listen to my favorites and suggest new artists to my friends. Sure, I can do this now, but make it more seamless and exciting. For the music interest, Facebook is a bit boring..let’s put some “jazz” into it! 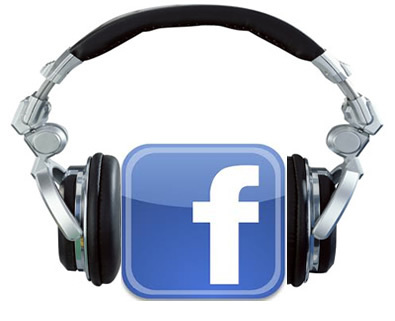 Facebook is a social giant and can use music as an opportunity to stick around for good. Despite its popularity, Facebook needs to stay innovative and keep up with markets that already have a big following. Challenging themselves in markets that aren’t familiar will keep them on top and away from becoming just another fad we had in the early 2000’s. Mark! Let’s make this happen buddy!